We're spoilt for choice in Sydney with so many Christmas events in the city and the suburbs that it's hard to decide which ones are a must visit. With only limited time until Christmas now and the calendar filling up, coming across new pop-ups makes it even more difficult to decide on what to fit in but the art lover in me is squeezing A Very Surry Hills Christmas into the agenda. 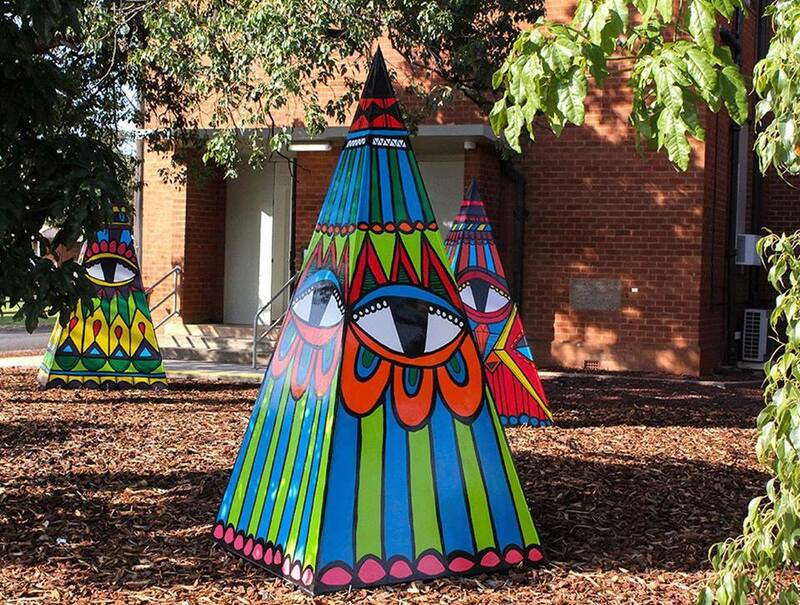 Artist Jeff MCann has put together some very unique Christmas trees that could also pass as teepees or even tents if they were bigger. They caught my eye with their bright colours and they're sure to put you in the festive spirit along with some other bespoke creations. Jeff has also designed some Christmas paper exclusively for this event and shoppers can take advantage of the complimentary gift wrapping of any purchases made from local Surry Hills stalls on the day. Bring the children for a free photo with Santa and enjoy free activities in his workshop making personalised Christmas decorations, floral wreaths, screen printed coasters and edible gingerbread gifts. Face painting with a difference is also available. Savour the live entertainment and support local businesses in the process at this Christmas pop-up that takes place from 9am-5pm on 16 December in Shannon Reserve, home to a children's playground and markets on the first Saturday of each month. You'll find it in Crown Street between Foveaux and Collins Streets, Surry Hills.